Recycled Toner Cartridges 101 - What are Recycled Toners? | TonerGreen - Eco-Friendly Toners from the U.S. Recycled Toner Cartridges 101 - What are Recycled Toners? Recycling is a concept that became as trending as technology these days, especially when this "green idea" is associated or is used to go along with technology such as energy-saving gadgets, refurbished items, and marvelous green gadgets. We've featured them a lot in this blog like the Nokia Eco-Sensor Smartphone Concept, iMacAquarium / iTerrarium and the Bamboo Laptop from Asus. But that doesn't end there, even in simple things such as your printer consumables, the concept of recycling or going green basically applies. Recycled toner cartridges, also known as remanufactured toner cartridges, are generally empty toner cartridges (those printer consumables you use in your laser printers) that are refurbished, went under several processes such as inspection, recycling the components, splitting, cleaning, digital auto-filling, sealing, and assembly. After those processes, these recycled toner cartridges are literally put to the test. "Each cartridge is post tested based on industry standard print tests to ensure outstanding performance and OEM-comparative print quality," TonerGreen described how their post-testing process works. "Each step in our manufacturing process is monitored by dedicated quality control technicians. Each step in our production process undergoes regular and spot inspections to guarantee consistency and conformity to the company-approved remanufacturing process." 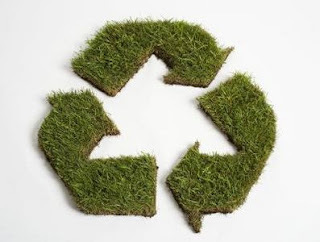 TonerGreen is an environmentally-concious online store that has been providing environmentally responsible printing solutions including recycled toner cartridges, thus reducing the wastes ending up in our landfills and polluting it. By offering remanufactured toner cartridges and ink cartridges, TonerGreen encourages printer users to be responsible in picking up products that they use in their every day life. 1. Establish our industry as a dedicated partner of the Green Revolution by reusing components that could otherwise have been part of the mounting garbage and waste problems of our communities. 2. Convince consumers that recycled, used, and refurbished products are reliable and are able to perform as good as the high-priced original toner cartridges. 3. Provide credible alternative to economical (and environmental!) consumers for purchasing their printing needs. TonerGreen products are 100% guaranteed. All are tested to ensure the highest quality. Any worn components are replaced with new or remanufactured components when necessary.